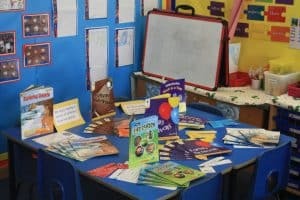 Reading in Key Stage one includes the teaching of phonics, where children learn to decode words. We encourage reading for pleasure and understanding. 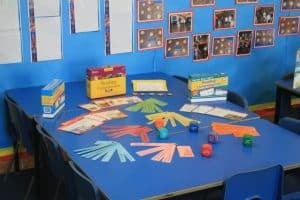 Progress in Reading in Key Stage 2 is focused around comprehension, inference and deduction. To develop these vital skills, children should read widely and regularly. By using these questions to structure discussions when reading with your child, you can ensure that these skills are continually being developed. Assessment Focus 1: Use a range of strategies to decode and read text. e.g. reading key words on sight, sounding out unfamiliar words. Assessment focus 2: describe and understand, select and retrieve information form the text such as names, events and key facts. Assessment focus 4: identify and comment on the structure and organisation of tests including grammatical and presentational features. Assessment Focus 5: explain and comment on writers uses f language, including grammatical and literary feature. e.g. suggesting why particular adjectives or verbs have been used and the effect they have on the reader. Assessment Focus 6: identify and comment on writers purposes and viewpoints and the overall effect of the test on the reader. e.g. identifying that the writer doesn’t like violence by their comments on it. Assessment Focus 7: relate texts to their social, cultural and historical contests and literary tradition. e.g. making links between books about a historical event or cultural topic. Identify a word from the text which shows that…. Fill in the gaps in the table…. Choose the best word to fill in the gap ………. What does this quotation suggest about ….? Explain the use of the word…. What impression do you get of the feelings of this character form the test? What might this character have been thinking? If you made a movie of this, what type of music would you use for it and why? How are the experiences of these two characters similar? How did the characters feelings change? What evidence is there that …? What is the characters attitude towards….? How does the first sentence help to guide the reader? How does this paragraph link back to the opening paragraph? How does the writer link the conclusion to the introduction? How does the writer build up to the conclusion? Sequence these events from the text. Label these parts of the text. Who does the timeline/image/diagram/layout make it easier to understand? Why is this element in bold/italics/underlined? What would be a suitable caption for this image? What would be a suitable heading for this text? Give two features that tell you it is written as a formal letter/diary/scripts? Why is the description of ….. a good metaphor to use? What does the choice of language suggest…. How does the choice of language create the impression that …. Why is this style of formal/ informal language used in this text? What words help the reader to imagine…. Which phrase best describes …. Explain two ways in which this sentence makes the reader…. Why is the word…. In inverted commas? Chose a word to describe this character. Why? What is the effect of ….? In what way is …. Like….? Which parts of the text tell you…. What do you think the writer thinks about this topic? Why? How does the writer show his positive/negative attitude towards…? How does this article create the impression that ….? Which elements of this text are persuasive? Why does this section begin with a question? What is the main purpose of this text? Which of these texts would inspire you to ….? How does the author make you feel? Why has the author included….? How can you recognise the attitude of this character?